On June 20, Bob “Weatherman” Steinberger passed away after a long battle with cancer. To off-road racers, Weatherman was an arbiter, a messenger, and sometimes, a life saver. But even more than that; Weatherman invented backcountry communication decades before cell phones and GPS, and helped make some of the coolest racing happen hundreds of miles from nowhere. 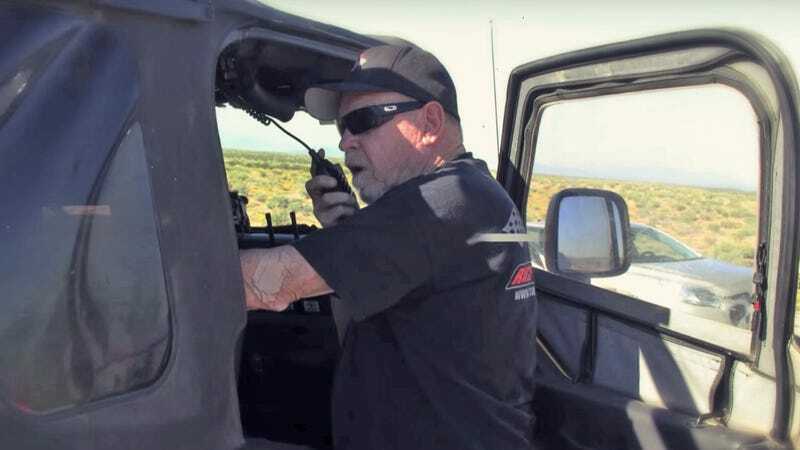 Almost everyone in the off-road world today will know Weatherman’s voice well, whether you were just at home listening to him preside over an event or white-knuckling a radio trying to get a relay to lost members of your team in the heat of a Baja race. I only got to meet Weatherman once, extremely briefly, but you didn’t have to know him at all to respect his creativity and dedication to racing. This guy was tying antennas to balloons to build communications relays in the Mexican desert, for godsakes! To say nothing of the hours and days he spent camped up on mountaintops, keeping tabs on hundreds of race cars and teams scattered up and down the Baja peninsula. Weatherman eventually founded a company called PCI Race Radios, which is still a mainstay of Baja racing, setting teams up with comms and safety equipment from its facility in Southern California and a satellite pop-up shop it brings down to Ensenada for Baja races. PCI will continue to be active in the off-road racing community, and it sounds like the staff plan to carry on Weatherman’s duties as race arbiter as they have been doing in recent years when the ’Man himself was too ill to travel. Still, Weatherman will be missed immensely by everyone who heard him and had his help in some form or another, which is just about anyone who’s ever been involved in off-road racing. While the off-road racing community is still dealing with the recent death of SCORE Tech Director Art Savedra, SCORE is also grieving now for the passing yesterday of Bob Steinberger. Known as the “Weatherman” throughout the desert racing community, Bob was inducted into the Off Road Motorsports Hall of Fame in 2013. He was the relay communications announcer for SCORE races for over 30 years. A friend to the racers as he kept chase crews in touch with their teams as good as possible, his passing reminds us even more how fragile all of our lives are and how we need to embrace each day with the dedication, passion and enthusiasm that Bob exuded for over 40 years of working communications for races from all desert racing organizations. We share in the grief of Bob’s family and the entire desert racing nation. May he Race In Peace.